Sweden, however, isn’t one of them. Believe it or not, there is no distilling tradition in Sweden. Whiskey is one of those benchmarks in a civilization that is easy to take for granted. You would assume that distilling would have spread everywhere in Europe, even if what the other countries produced was overshadowed by the fame of Scotland's efforts. But, no. I suppose that when Scotland is that close, it's easier to import it than make it yourself. That was until 1998 and Mackmyra decided to change that. Reading about the history of Mackmyra Distillery makes me realize just how much potential the craft distillery movement has unlocked. While fine whiskey has always been appreciated, there was a long stretch of centuries where whiskey also served a utilitarian role. People bought it with the same idea we buy cough syrup today. Most people didn’t have the need or the extra money to spend on the artisan aspects of a product they mainly drank so they wouldn’t feel the teeth rotting out of their head so much. Now we can appreciate what small distilleries like Mackmyra do. Whiskey made from glacial water that has been frozen for thousands of years, and aged in barrels made from Swedish oak whose harsh climate gives it a unique flavor that couldn’t be achieved anywhere else in the world. All I can say is that is a wonderful time to be alive. The distillery itself is ultra-modern and looks like something out of a sci-fi movie. It's utilitarian in appearance but done in an artistically beautiful way. The hours of operation are from 11:00 am to 9:00 pm, but you need to call ahead to schedule a tour. What they will show you during that tour is everything they do to make their whiskey from start to finish. That includes a meal at their restaurant, complete with whiskey that complements the food. Visitors are also allowed to tour the various warehouses. Not all of these are exactly close together either. Visitors can even stay in a castle when visiting a warehouse because it is a warehouse – sort of. Häckeberga Castle is in the southern part of Sweden and has some fantastic accommodations and a great restaurant. Of course, they serve many of Mackmyra’s single malts there. And don’t worry about Häckeberga being some drafty old haunt. It’s more like a palace than a medieval castle. Think of it as an SUV made by Rolls Royce. 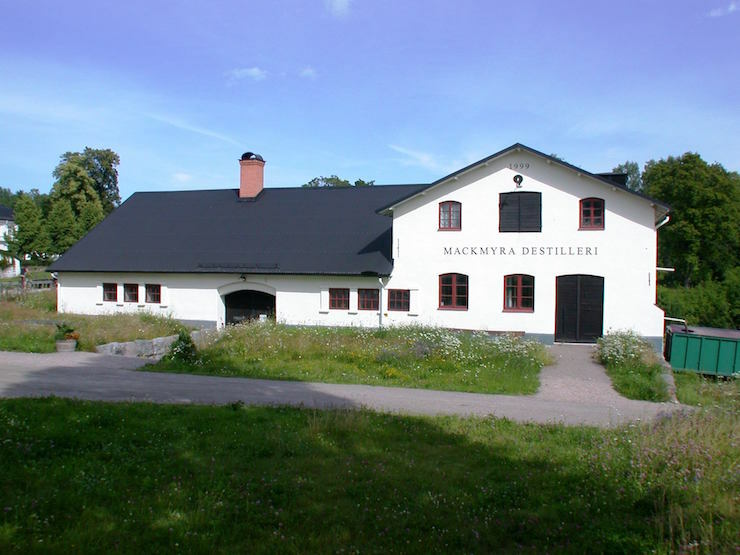 One thing anyone wanting to visit Mackmyra Distillery for a tour will want to keep in mind is that most of what you can do is limited to the summer season. Remember that this is Sweden. It gets effing cold there. I’m sure there are a lot of proud Mainers and South Dakotans scoffing at the idea of winter stopping them, but Sweden is way further north than you guys.